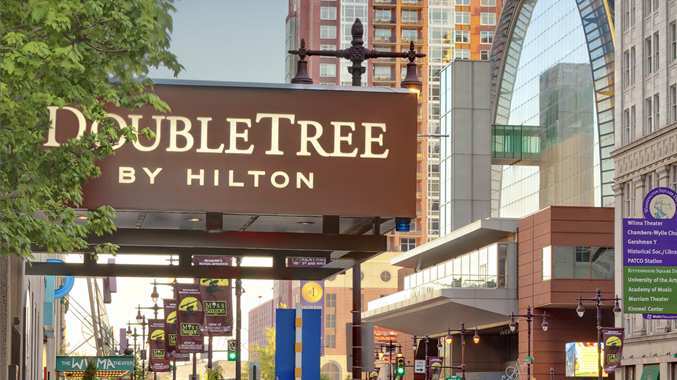 Expect a warm welcome and outstanding service at the DoubleTree by Hilton Hotel Philadelphia Center City, a top choice in Philadelphia hotels. Located on the Avenue of the Arts and nine miles from Philadelphia International Airport, our comfortable hotel provides views of the Delaware River and downtown Philadelphia. Stay at this hotel and be near attractions such as the Pennsylvania Convention Center, City Hall and the Liberty Bell. The business district, home to CIGNA and Sunoco, is just blocks away. For a complete list of hotel amenities or for more information on the property please visit the DoubleTree Center City's website. Negotiated Room Rate: $189.00* plus taxes for single occupancy or double occupancy. Negotiated rate will be honored three days before/after official meeting dates, based on availability of the hotel at the time the reservation is made. Room rates will be honored on a space-available basis until the National Association of Case Management Room Block sells out or Friday, August 26, 2019 at 5:00 p.m. EDT, which ever comes first. Hotel rates are subject to applicable state and local taxes, currently 16.25%. Hotel room reservations are subject to availability! Please BOOK EARLY! Please utilize group code "NCM" to get discounted rates. Reservations booked outside of the National Association of Case Management's Room Block may not receive special rates or amenities.